It is here! Our Grand Opening of Green Wave Family Wellness Center in our new Building on 625 Jenks Avenue in Panama City, Florida! Our Grand Opening is a celebration resulting in you finding out how we can help you using our natural integrative health care approach. Come see how taking care of what’s in the way of your balanced health and wellness can best release the powerful you to share and enjoy life. This program is utilized for the immediate repair of a highly stressed area of balance. This program is utilized to assist with minor stresses, life transitions and/or for those who want to get back on track with balanced health and wellness. This program is utilized as one adopts an active role in maintaining their best level of Balanced Health and Wellness across their lifespan. 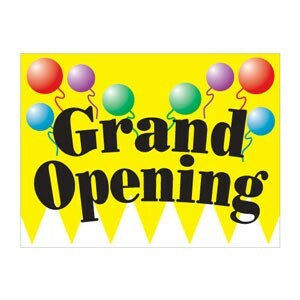 Our Grand opening will include Great Discounts, Prizes, Gifts and Goodies. It is also a Charity Fundraiser for Paws and Claws, a rescue adoption organization for our furry friends. Let’s enjoy helping people while helping pets who are in need of love. We look forwards to being Your valuable resource in health and wellbeing in Panama City. See you there between 4pm and 7pm on July 14th at our new building on 625 Jenks avenue down town Panama City. Bring a Friend!